Precocious Daughter and I want to string lights on our balcony this Christmas. Possibly not to this extent. 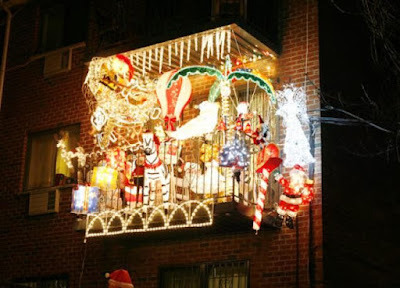 Technically, our lease prohibits us from decorating our balcony in this way. Technically, our lease is 12 pages of the Grinch rendered in legalese on 8x14" paper. However, a few of our neighbors already have decorated their patios/balconies with lights and other seasonal fripperies. Just as the bro-dudes a few units over have hung a Texas Longhorns banner from their balcony every weekend since college football season began. The iron-clad prohibitions of our apartment leases are not quite as iron-clad as they seem, is what I'm saying. I'm totally willing to risk a letter of admonishment from property management if it means I can have pretty blinking lights festooning my balcony railings this December. They're not going to evict us for putting up Christmas decorations, for Pete's sake. THIS IS TEXAS AND TEXANS ARE CHRISTIANS WHO LOVE CHRISTMAS. I intend to ride that silly religious train so that I can put up shiny lights and assorted baubles. I don't buy into the whole Baby-Jesus-Son-of-God spiel. 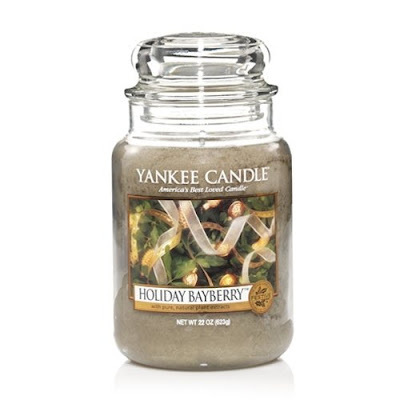 But I do love a shiny, shiny Christmas replete with cookies and bayberry-scented everything. Candles, Drunkards. Effing scented candles for the win. I totally respect those of you who consider Christmas to be a religious holiday. I don't share your belief, but I'm OK with it, as long as you're OK with my staunch secularism. I love that at this time of year, we all try to love and cherish one another, regardless of our faith (or lack thereof). I wish it happened more than one month a year, you know? PDaughter and I will trim our tree, and decorate our little home, and keep Christmas in our way. We will wish peace and love to everyone we know. We'll be baking cookies, so if you want some, let us know. Feliz Navidad, you guys. Let's come together and celebrate the spirit of Christmas. There's already too much dividing us. Christmas hugs are available here, if you want them. Just don't put up a menorah. That might earn the ire of your neighbors. Christmas is my holiday. That is, I go all-out on the others, but Christmas, for me, is a solid two-months (oh yeah, we keep it going into January 'round here) of the holly and the jolly. I love everything about it, and will defend every single crazy holiday tradition with my last breath. You want singing inflated Santas on your roof? I don't, but by Jack Frost I will cheer for yours and anyone who tries to stop you will find themselves bogged down in eggnog and glitter. I even love the mall at Christmas (um, thousands of people all braving the weather and crowds in search of the perfect gift to make someone happy? What's not to love?) and have never understood what other people have against it. For the record, the entire run-up is my religious holiday (My Christmas Eve is very long indeed) but the day itself is pretty secular around here. So merry Christmas right back at you, fellow twinkle light enthusiast! And yes, of course I want cookies. Do you even need to ask?